The Springville boy has been gone since Saturday. Chad Stilson, 12, walked into his Springville home Monday Morning. His father said the family will talk to the boy after the youngster gets rested. 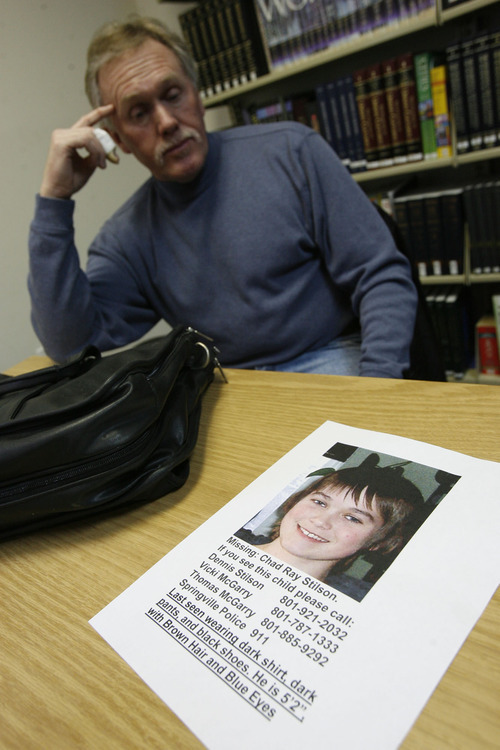 Francisco Kjolseth | The Salt Lake Tribune Dennis Stilson of Springville expresses his deep concern over his son Chad, 12, who has been missing since last Saturday morning when he left the home of his ex-wife Vicki McGarry. Chad who had been grounded for a school incident, decided to run away from home and hasn't ben seen by his parents since. Ray Stilson, a former bail bondsman and bounty hunter has been using his knowledge in hopes of tracking his son down. Possibly upset about being grounded, 12-year-old Chad Stilson bolted from his Springville home Saturday. Four days later he remains missing, and his parents are growing desperate. His father, Dennis Stilson, is using all of the investigative skills he learned as a career bounty hunter to help police find the boy, who is now listed as an "endangered runaway." "For the last month or so, it felt like something was wrong," Dennis Stilson said. "He was a little bit withdrawn." Chad was grounded early last week after some trouble at school, said Stilson and Chad's mother, Vicki McGarry. He wasn't thrilled about the 10-day punishment, but "he seemed to be dealing with it just fine," McGarry said. On Friday night, Chad had dinner with his mother and stepfather. Vicki McGarry said he was still in bed at 10 a.m. Saturday. 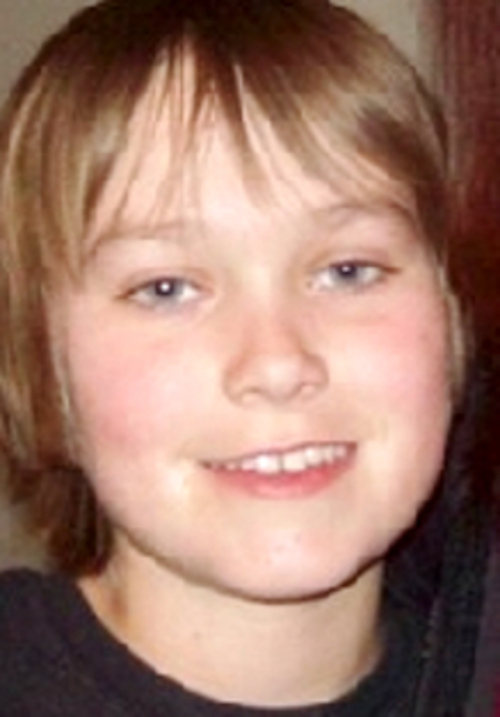 "At 12, he was gone," she said. A neighbor girl reluctantly told McGarry that Chad stopped by Saturday, they exchanged text messages that afternoon, and she received a call from Chad's cell phone number Monday night. However, calls to Chad's cell phone come back with notices that his phone has been turned off; he may be limiting phone use to only outgoing calls, Stilson said. There also have been sightings of Chad  described as 5-foot-2, 105 pounds, with brown hair and blue eyes  late last week at Utah Lake, and on Sunday afternoon back in Springville on Canyon Road leading up to Hobble Creek, his father says. Dennis Stilson is interviewing classmates himself. "I'm trying to sort out the rumors and baloney," he said. "They all seem to protect each other." Springville police Lt. David Caron said he could not discuss the case because Chad is a minor but said investigators do not believe foul play led to his disappearance. "This is the first time he's ever done anything like this," the father said. "... He's a shy kid  not a lot of friends, but a bright kid, very tech-minded." On Wednesday, Dennis Stilson had hopes that technological bent may provide important leads to searchers. On Wednesday, a computer security expert was trying to crack the password protections Chad had put on his personal computer, Stilson said. Chad has taught himself rudimentary programming, and is active in various social networks, so his father hopes the computer  once the passwords are defeated  will reveal important contacts who may be able to help locate him. I If anyone sees Chad or has information that might lead to his location, call Springville Police at 801-491-5525.